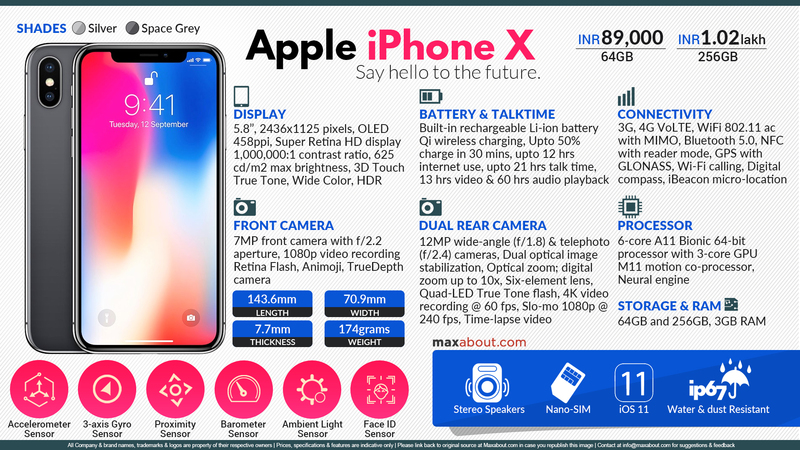 Apple iPhone X is priced at INR 89,000 for the variant with 64GB storage, and the 256GB model's price is INR 1,02,000. This makes the higher-end iPhone X the most expensive mainstream smartphone in the country. The Apple iPhone X comes in Silver and Space Gray colors. The prospective buyers in India will have to wait till November 3 for the iPhone X; pre-orders in the country will start on October 27.